Recently, we’ve had a week of solo recordings, and then duo albums. With an inexorable (if unimaginative) logic, for the next three days we focus on the trio. For some, when it comes to improvisation, the trio is the configuration most conducive to the exchange of ideas and generating repartee: triangulations for mapping musical discourse and achieving the best balance between individual expression and communal responsibility. In a world of shortages, albums from tenor saxophonist Ivo Perelman seem immune. 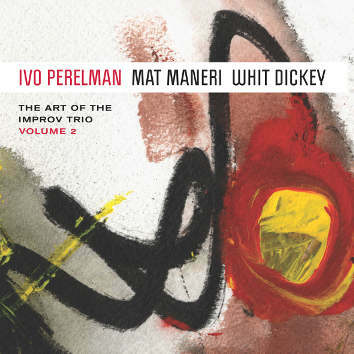 We now have another six: The Art of the Improv Trio, Volumes 1 to 6 (it’s nice to see someone sticking up for the abbreviation for a change). 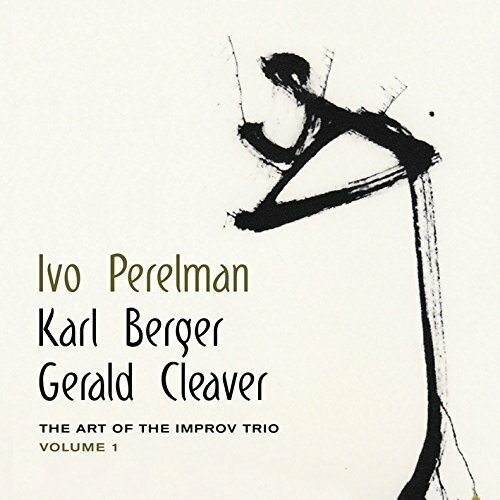 In these trios, there are more constants than variables: Perelman plays on them all, with drummer Gerald Cleaver on five of the six. The third member, or the instrument they play, is different on each. That’s where the analogy with algebraic functions falters, as the combinational outputs are performances in which the input of each musician is not predictable, and their relations never fixed. In other words, what the art of improv is all about. “… by the time he made the last of these six recordings [they’re not numbered in recorded order], he had completely overwritten the altissimo fingerings he had used for decades, due to his ability to better command that range through breath alone”. These are not extended techniques but techniques which have extended the working range of Perelman’s saxophone. Irrespective of whether you consider three to be improv’s magic number, there’s plenty to explore and much to enjoy in these releases. 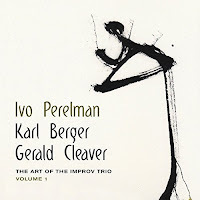 Perelman and Karl Berger have recorded twice before: Reverie (with Berger on piano) and The Hitchhiker (Berger on vibraphone). This time, he’s back on piano. As with all the albums in the series, the track names are the simple “Part 1” etc. as if something more specific would distract from the music (also, coming up with six albums’ worth of titles is an unappealing task). If Perelman’s previous practice is anything to go by, the track sequence is probably the order in which they were recorded. From the opening ascent from bass to treble in a single breath on the saxophone, this is music which feels totally natural, not something sought, but found. There’s a liquid flow and fluency to Perelman’s tenor, creating long, crescent-shaped passages in which he glides between notes. Each track is a piece of measured thinking, coming to an instinctual conclusion, a feeling that this is a good place to end. The trio covers a wide spectrum of sentiments, ruminative to rhapsodic. ‘Part 1’ is melancholic, with Perelman’s mourning saxophone, gentle piano chords and brushed whispers. 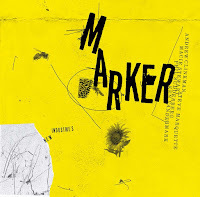 ‘Part 2’ is more declamatory, Berger’s broken dance figure multiplied into superimposed rhythms which dissolve into something like a hymn, transformed into a mellifluous song without words by Perelman. The metric jungle reasserts itself before a compromise is reached, both kinds of music moving together to a uniform close. ‘Part 4’ reverberates with chords, repeated and spread across the full range of the piano, like some profound question which Perelman answers with echoes and a beautiful, wandering melody, growing in power as the chords become more insistent and the piano answers in turn. ‘Part 5’ consists of intersecting lines, three separate patterns of thought which cross from time to time. Right through the album, Cleaver provides a backdrop of vaporised cymbals and scuttling drums, punctuated by crisp accents, a diffuse tissue of sound sometimes only noticeable when it’s absent. There’s an ambient acoustic, allowing one to hear the air around the instruments and rendering them in seductive colours: the piano’s bell-like motif that provides the foundation for ‘Part 3’, the textural luminosity of Perelman’s playing in the high registers and his resonant sobs lower down. 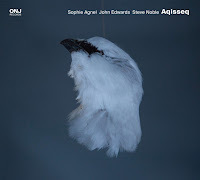 The album concludes with ‘Part 6’, the longest piece – barely articulated phrases and squawks on tenor; deep, pedalled piano with random interjected notes; and the irregular rattle of percussion. Little by little, the parts come into focus, their movement becomes more adroit and the disparate elements gradually cohere, retaining their distinctive features but drawing on each other, moving to a bold conclusion and then ebbing into silence with the sound of Perelman’s breath. A compelling set of performances. 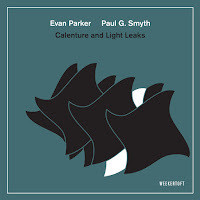 This is only album in the series not to feature Gerald Cleaver: instead we have Whit Dickey on drums, joining Mat Maneri, viola. As with all the trios, these are musicians with whom Perelman is familiar, from a pool on which he’s drawn during his creative surge of the last five years. Previous sessions featuring Perelman and Maneri have generated an intricate and lucidly woven fabric – complimentary contours always expanding. On this occasion, the tendency is in the other direction, considering what can be done on a more elemental level by focusing on how it’s put together – its interior nature – in a collection of relatively brief studies. 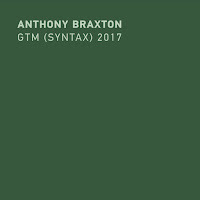 The basic material is parsed, dissected and rearranged, internal relations reconfigured, and the new segments linked then separated afresh, all marked by fleeting changes in register, intonation and phrasing. It seems as if there’s continual variation, yet in each piece the building blocks remain the same, in music that forgoes linear progression. 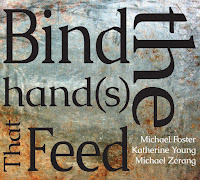 This process is not a formal but poetic, analysis – explorations akin to Gerard Manley Hopkins’ “inscape” of things, lying out of normal sight and only revealed by taking a different approach. It’s not a rigid template, however. To a certain extent the trio go where their instincts take them, part of the art of improv. As always with Perelman, brevity and restrictions are no bar to variety. The thirteen pieces have a range of paces, each unfolding in a manner that suits the treatment adopted. There’s no single way to go about this. Sometimes things are clear – more accurately, set in higher relief – other times they’re more dispersed and ambiguous. Likewise with texture and tempo: the viola’s serrated edge and the warm, occasionally sour saxophone, smeared and wavering tones; widely spaced notes and closely packed clusters, with oscillations generated by identical and adjacent pitches producing phantom notes; steady speeds and accelerating figures but also passages where shape rather than pulse govern direction. At one point, Perelman and Maneri indulge in a mutual chuckle. The melody instruments drift over the delicate lacework of Dickey’s strokes, swirls and seething cymbals. Elsewhere, his brusque drumming incites further fragmentation. He’s the usual steady pair of hands (and feet). Of course, an interesting notion does not necessarily make for a good album (in fairness, the way I’ve expounded it may not be universally acknowledged). Perelman and his colleagues have mastered a complex and subtle expressive language – a group of sympathetic and mutually articulate musicians – who also recognise the need to inject fresh ideas and consider matters anew, to remain stimulated and avoid staleness, though I suspect such things are never discussed in detail as they have a remarkable intuitive consensus on how they approach each album. There’s no reason to think that they will not continue to produce engaging music for the foreseeable future, though fully appreciating the depth and range of their work might take a little longer. Thank you for such an informative and well written review. There are so many Leo records recordings by Perelman now that it's very helpful to have an informed guide. I look forward to the rest of this week's reviews.